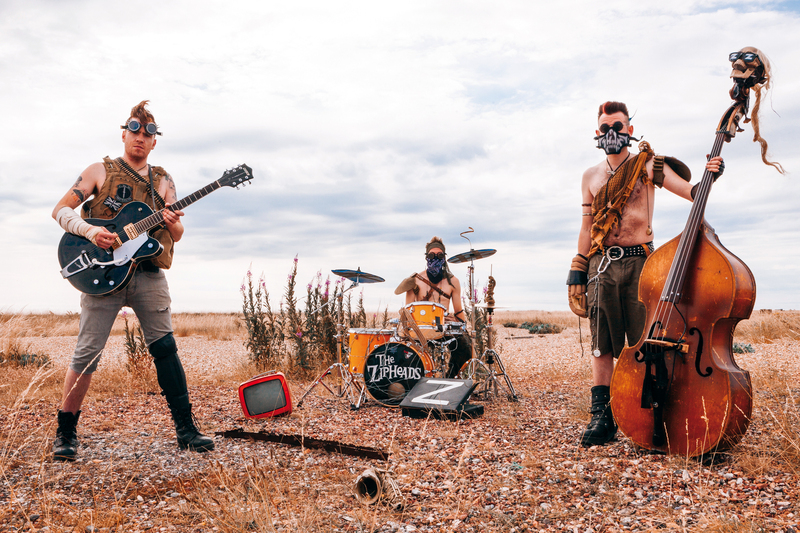 Way back in 2006 three young punk brothers from St Albans, a grim satellite town of London, discovered 50’s Rock’n’Roll and Rockabilly, and The Zipheads were formed. 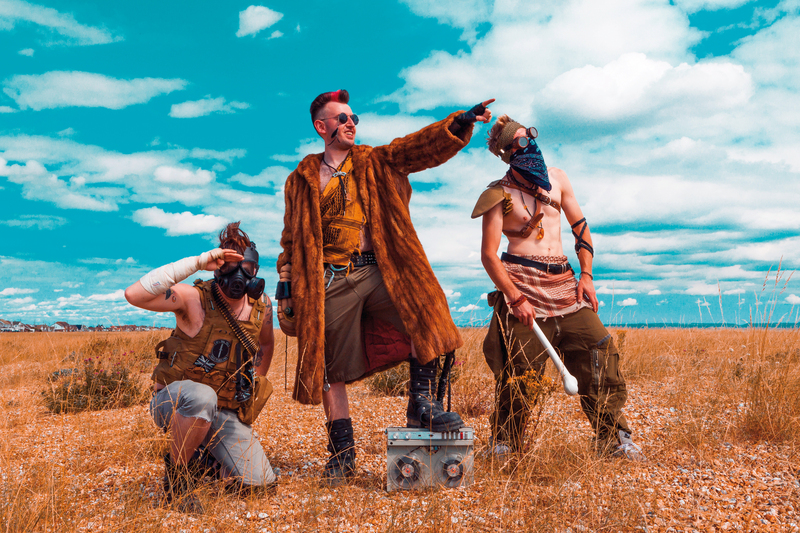 Initially known as The Runaway Boys, a rock’n’roll revue band, they played every sweaty pub, town hall and social club in the south east bashing out 50s classics with a punk sensibility and more than a nod to the pub rock scene of the 70s. Though too punk for some purists, The Zipheads soon found a home in the Psychobilly scene where their punk-infused rockabilly made a lasting impression and has seen them play with such legendary bands as The Meteors, Guana Batz, Demented Are Go, King Kurt, Mad Sin and many more as well as being invited to play Psychobilly festivals across Spain, France, Finland, Sweden and the Netherlands. 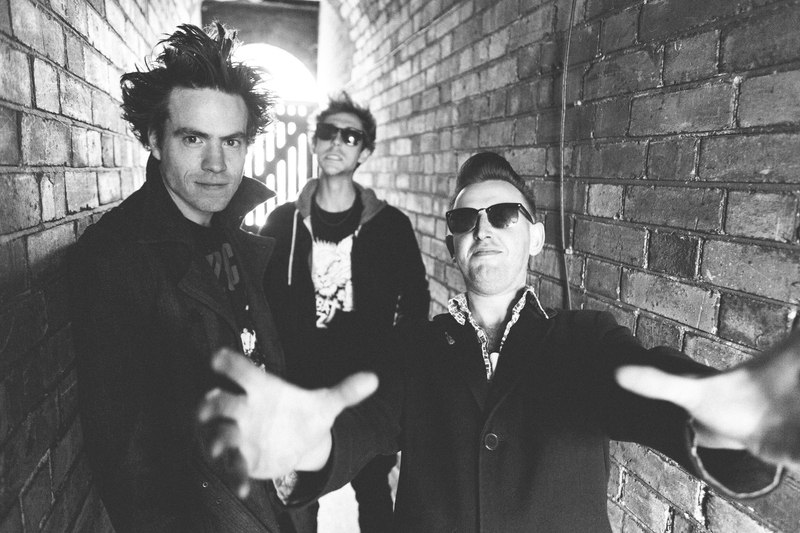 Of course, more touring followed and in 2015 The Zipheads signed a publishing deal with Bomber Music and released a 7” single ‘Just Don’t Seem To Care’ on legendary UK rockabilly/psychobilly label Western Star Records. They finished the year by heading into the studio to record the brand new album Z2: Rampage! , out now on Bomber Music!